Love the look, feel, and results that come from using only natural products on your hair but wish that you could change, update, or brighten your hair colour? Luckily, there are perfectly safe choices found in nature that can give you the colour boost you want without the harsh chemicals or resulting damage. If you are dreaming of natural looking blonde highlights the reality is as close as your kitchen. Three simple ingredients, when used properly, can give you great, sun-kissed highlights without the use of bleach or other chemicals. For subtle highlights that develop slowly simply brew a pot of chamomile tea and crack open a can of beer. After shampooing and conditioning rinse the hair with the beer and then rinse again with the cooled chamomile tea. Let the mixture set on the hair for five to fifteen minutes and then rinse thoroughly with lukewarm water. Dry as usual. This natural lightening solution will allow your hair to develop natural looking highlights over time. For faster results repeat the process three times a week. For faster results and much lighter highlights simply mix three tablespoons of fresh squeezed lemon juice with two cups of plain tap water. Pour the mixture into a clean spray bottle and shake to mix. Squirt the mixture all over your hair or simply apply it over only the pieces you want highlighted. Have a seat out in the sun (remember to wear a sun protection lotion to protect your skin!) and allow your hair to dry. 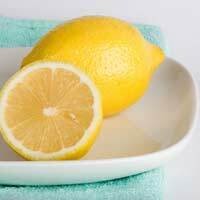 The lemon juice will react in the sun and naturally lighten your hair. While this technique works great and offers beautiful results be sure not to overdo the treatment. It can dry out hair strands and leave you with brittle, dry, not-so-attractive looking hair. The easiest way to darken already brown or reddish brown hair is to treat it with a rinse of strong black coffee or tea. Simply brew a strong pot of either liquid, the coffee will give you a darker result than the tea, and allow the liquid to cool. After you have washed and conditioned your hair rinse in the coffee or tea massaging it gently throughout the strands. Repeat with a few rinses and once you reach the end of the liquid allow the treatment to set on the hair for at least fifteen minutes before rinsing with warm tap water. Rinse thoroughly until he water runs clear. Your hair will be darker after just one treatment but you can repeat the process daily for deeper results. Rosemary also makes a great darkening agent for hair. Use a prepared rosemary oil, or make your own by soaking rosemary leaves in olive oil in a clear glass container for at least two weeks. To treat the hair first heat the oil in the microwave for about thirty seconds then gently massage the oil into each hair strand. Wrap your hair in a warm towel fresh out of the dryer and let the oil set for fifteen to thirty minutes. This treatment will deepen the colour of your hair and after repeated treatments give your hair a nice brunette hue. There are two main ways to take your locks from brown to red. First, you can rinse your hair in a mixture of one half cup carrot juice and one half cup beet juice after shampooing. Use a wide toothed comb to ensure that every strand is saturated in the rinse and allow the juice to set on the hair for at least twenty minutes. Rinse with warm water until the water runs clear. Repeat daily until you achieve the desired results. You can also use a strong tea brewed with rosehips or cloves to achieve a red hue to your hair. Simply brew the tea according to the directions on the box, making it stronger than usual for drinking. After the tea cools rinse and treat your hair with the same steps as above. Again you can repeat as necessary to achieve the colour that you desire. Maybe you love your natural colour but just want to cover your grey naturally. Sage tea, with a little bit of rosemary, makes a great cover for hair that is naturally darker. Simply brew a strong pot of sage tea by simmering one half to one cup of sage leaves and a few dried rosemary leaves in about two cups of water. Let the mixture simmer for thirty minutes then remove from the heat and let it set for another two hours. Once the tea cools pour it into a plastic spray bottle. Spray the tea onto dry hair making sure to saturate the patches of grey hair that you wish to cover. Allow the mixture to set for ten to thirty minutes depending on the depth of the grey colour. Rinse, shampoo, and condition as usual. This recipe gradually covers the grey so you will need to repeat the process daily until you achieve the desired results.